I stand corrected. This is not unusual. 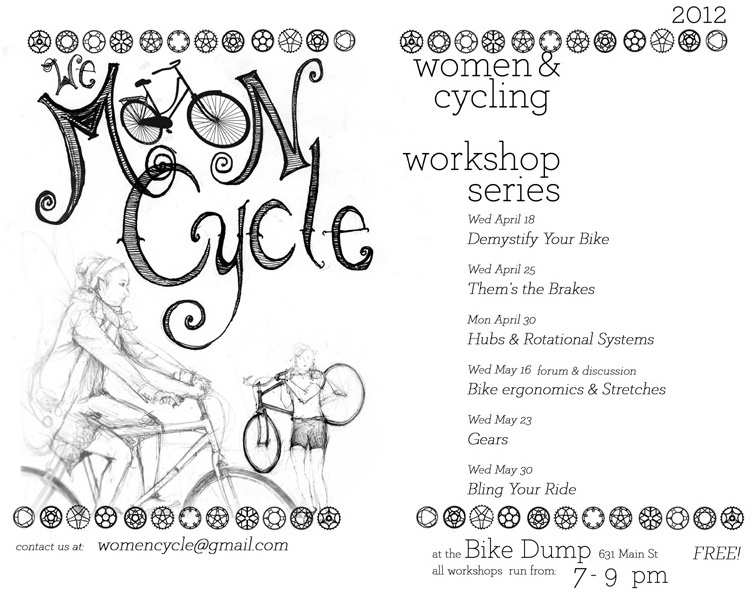 Rachel was kind enough to point out that the Women & Cycling Workshop Series does not run every Wednesday, but rather has an actual schedule. Far be it for me to mislead my cycle sisters, so here are the real goods. Check it out, because it sounds like a blast. Oh, and I’m told that bringing snacks is encouraged. And awesome. Where are you? I miss your witty insights into the ways of machines and wo(man).. Thought maybe the stagecoach 400 had allured you into a nice three day jaunt across the desserts of SoCal.